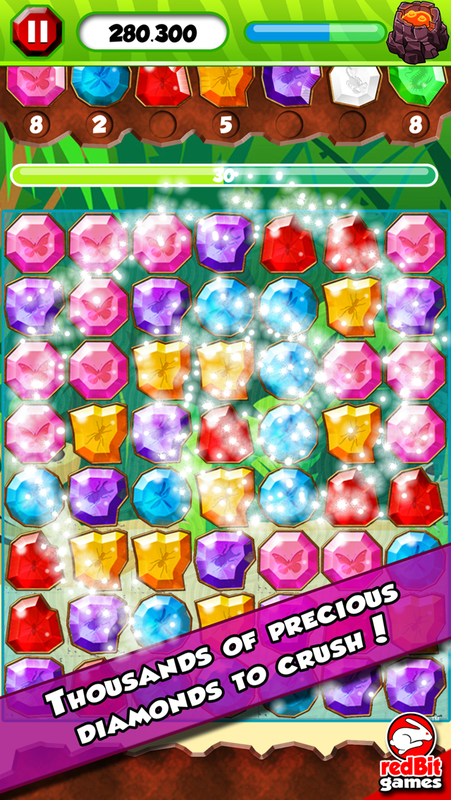 Diamond Crush 2 is a new free match3 game where Pirates and Diamonds make a great mix of colors! Crush as many diamonds as you can as quick as possible, and beat your friends in the Weekly Tournament to earn more coins. It is fully integrated with Facebook: invite your Facebook friends to play your own personalized tournaments! Play on your mobile and on your Facebook, your scores will stay in sync! 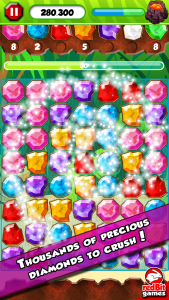 Crush diamonds until you have filled up the Energy Bar and use many power ups to score higher! You will need hearts to go further into the game, and there are different ways for you to get more! Purchase coins to buy hearts. Start playing now with your friends!